Windows are Everywhere in this Charming 1840’s Home with 3 Exposures! Come See this Gorgeous Sun-filled single family home on a quiet, tree-lined street! It’s layout lives like a much larger home! Highly sought-after floor plan offering 3 Bedrooms & 2.5 Baths! Many New Upgrades throughout! Embracing large side Courtyard is truly an extension of your living space! Enjoy year round grilling & memorable entertaining! Huge Custom Designed Chef’s with top-of-the-line appliances, endless counter space & breakfast bar open to Living room! Interchangeable first floor Livingroom & Diningroom will satisfy any lifestyle! Period ornamental fireplace mantels & built ins! Hardwood floors & Towering Ceilings throughout! Large Master Bedroom en Suite! 2 Additional very generous Bedrooms plus an office & spa full bath on top floor! An amazing location! 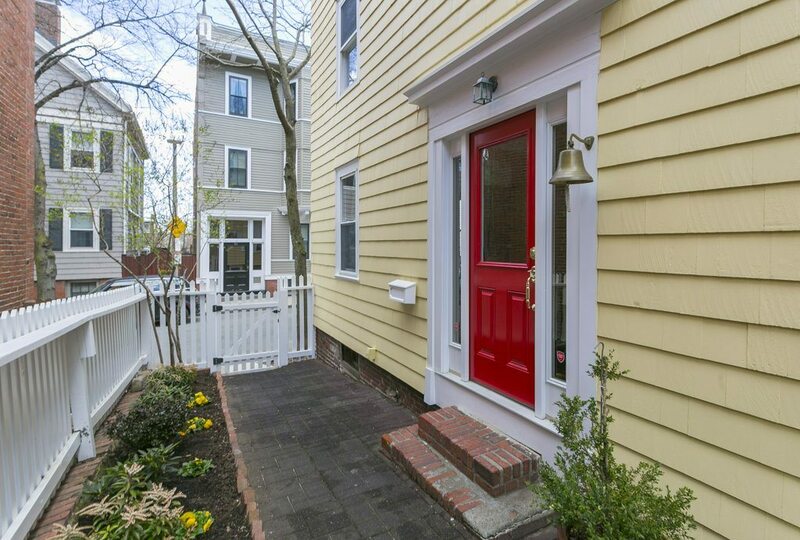 Minutes to schools, parks and all of the Charlestown restaurants and stores! Dreams do come true!